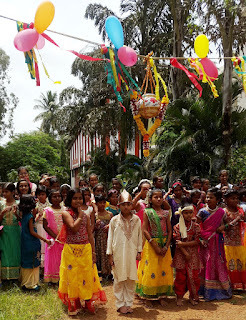 Pune (Chinchwad), 15-August-2017: More than 200 children from 10 slums of Chinchwad had a fun filled day when they celebrated the festival of ‘Dahi-Handi’ in the premises of Don Bosco, Chinchwad. The celebrations were held under the aegis of ‘Women Empowerment Project’ implemented by Don Bosco Development Society (DBDS) supported by AXA Business Service, Pune. 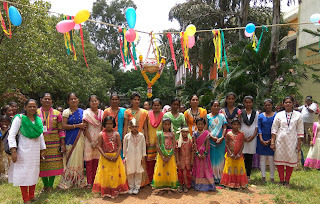 The children who attend the study classes of Don Bosco created a party ambience with their parents who joined these celebrations. 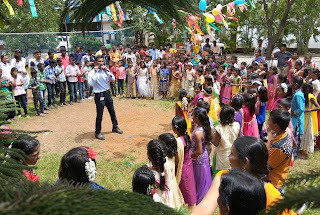 The whole environment was filled with joy and cheer. There were attractive pots (Handi) and music system to drive the rhythm. 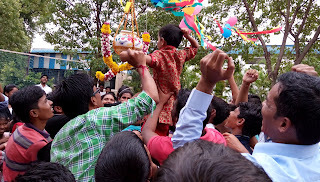 Children danced to the tunes of dahi-handi special songs. 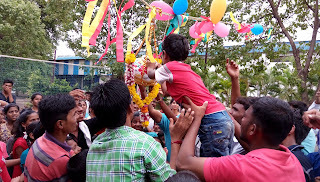 Small children dressed-up as ‘Govindas’ made several attempts to reach the Handi and finally were helped by their parents to broke it. 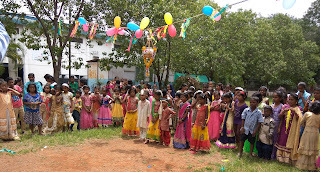 Snacks were distributed to all and children went back with memorable experience of festival celebrations.